Inspiring Dads - How can you improve your Work Life Balance? Spending time with your family is key to being the type of Dad you want to be. You want to be there for the moments that matter, because you know you can't buy time with your kids. 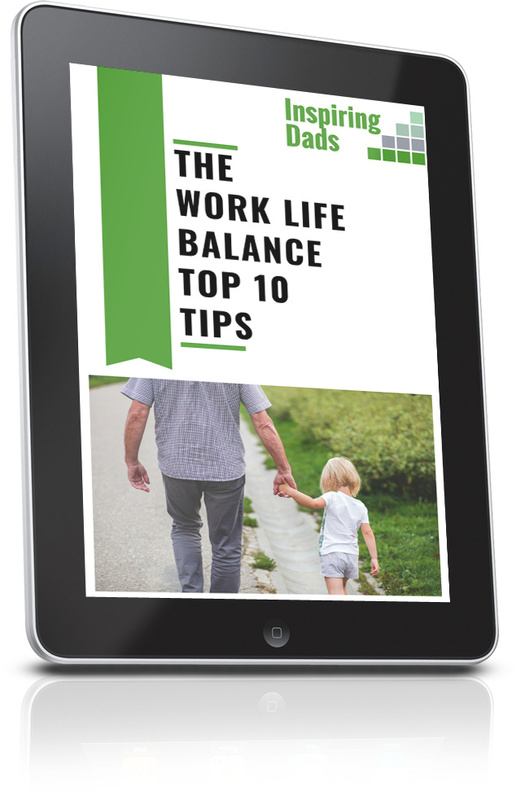 Exactly how you achieve the right work life balance for you will depend on the choices and priorities that are important for you and your family. It'll be different for everyone, but some flexible working is key to unlocking work life balance. Achieving flexible working has the power to bring significant benefits for all of society, including your employer! It can allow your partner to return to work and help close the gender pay gap. You want it and the benefits are clear. Outdated assumptions about gender roles in the workplace and at home. Mothercare, Mumsnet and Daddy Pig all reinforce the stereotype that Dads aren't equally as skilled at looking after their children. There is general demographic shift towards having children later in life. Senior managers are more likely than their predecessors to be parents of young children, increasing the likelihood that they will promote and encourage flexible working. "Workplace policies have not kept up with the social changes in people's everyday lives," according to committee chair Maria Miller, who describes "outdated assumptions" about men's and women's roles in relation to work and childcare" as a further barrier to change. Understand the benefits for all parties. Newer PostNot sure if you're on the same page as your partner?